Run by Wirral council this super free event on 4th November at the Floral Hall, New Brighton will tell you how to stay safe, warm and well this winter. 11am to 3pm hosted by John Kennedy with exhibition, music and demonstration throughout the day. Merseyside Collective Switch Offers Now In! We are thrilled to reveal the exclusive collective energy tariffs we have managed to secure for the group! The winning tariffs are from British Gas, EDF and we are delighted to have a winning green tariff from OVO energy. Below we reveal the wining tariffs. . . . The best deal is from British Gas with an average annual cost of £825. 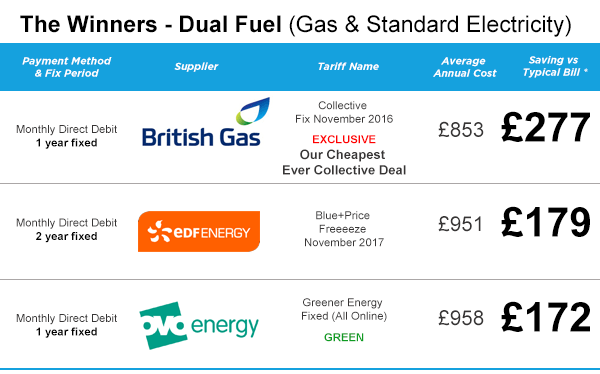 That’s a whopping £277* saving over an average yearly bill of £1,102* and beats the best comparable fixed tariff on the market! We really want to see as many people as possible getting a better deal on their gas and electricity. So don’t miss out and forward to a friend!